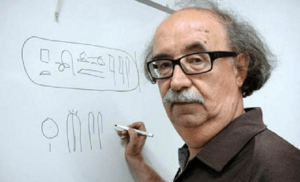 In 1992, the Egyptian Antiquities Organization and the University of Barcelona (UB) set up the Joint Archaeological Mission to Oxyrhynchus, under the leadership of Dr. Josep Padró i Parcerisa. Following existing regulations on excavation work, the UB built a residence for researchers and the site’s first storehouse for antiquities. Opened in 1999, the building stands within the archaeological site and belongs to the UB for the duration of the mission’s work. The land on which the building stands, however, remains the property of the Egyptian Antiquities Organization (today the Supreme Council of Antiquities). In 2002, the mission fell exclusively to the University of Barcelona. In 2003, the UB and Egypt’s Supreme Council of Antiquities, which preceded the Ministry of State for Antiquities, collaborated in an exhibition on Oxyrhynchus that visited the Egyptian Museum in Cairo, the Greco-Roman Museum in Alexandria and the Coptic Museum, also in Cairo. In 2008, the mission also took part in an exhibition organized by the Spanish Ministry of Culture at Cairo’s Egyptian Museum. 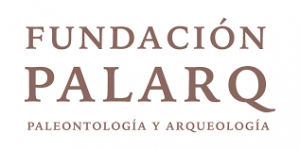 In 2007, on the occasion of a colloquium on Oxyrhynchus held in Cabestany (southern France), a photographic exhibition was organized, which later travelled to the Archaeological Museum of Barcelona, in 2009-2010, the Fundació Bosch i Cardellach in Sabadell, in 2010, and the Egyptian Cultural Centre in Paris, also in 2010. The archaeological work of the UB at Oxyrhynchus has drawn on the collaboration of many private and public institutions over the years. 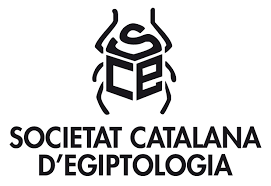 In addition to the Supreme Council of Antiquities, these include the University of Cairo, the University of Montpellier III Paul-Valéry, the Catalan Egyptology Society, the Archaeological Museum of Barcelona, the Spanish Ministry of Culture, the Catalan Ministry of Culture, Rovira i Virgili University, the Catalan government’s Directorate-General for Research, through the Research Group on Classical, Protohistoric and Egyptian Archaeology and the Catalan Institute of Classical Archaeology, and the Terre d’Égypte.